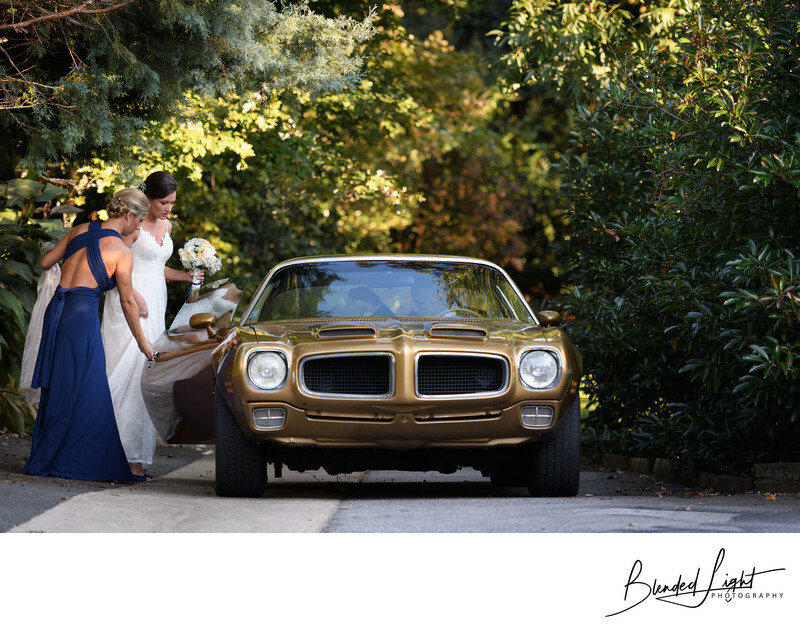 This mid-October Raleigh wedding was blessed with a cloudless sky on a cool, but not yet cold winter day. As a wedding photographer, the weather can sometimes make a big difference to wedding day festivities. When I created this photograph, we had just finished taking the pre-ceremony portraits of the the bride and bridesmaids. I had only a split second to turn and grab this image before heading to the venue myself. I watched as the best friend slowly and cautiously opened the door and assisted her friend into the car, ensuring that the wedding dress was neatly and completely inside the vehicle before giving a loving hug, kiss on the cheek and closing the door. As I spend time with the wedding party, I get to know them better and I'm able to create photographs that celebrate the unique relationship between the couple and their best friends. 1/500; f/2.8; ISO 400; 150.0 mm.